Back pain is a common problem that affects most people at some point in their life and can be debilitating if left untreated. The pain can be triggered by bad posture, bending awkwardly or lifting incorrectly. Pelvic pain, although very common in pregnancy is not isolated to the pregnant pelvis. Musculoskeletal pelvic pain is often due to jarring through jumping/landing trauma or sports. Back pain can happen in any part of your spine and you should seek treatment as early as possible to prevent postural compensatory changes affecting other areas. To start – visualise your intervertebral discs (the spongy bits between your vertebrae), to use my colleague, Steve Swift’s analogy – imagine your disc is a jam donut, if you squeeze one side of your donut (usually when taking your first bite) the jam oozes out of, or towards the other side. So when there is an injury to the outer fibrous ring (annulus fibrosus), some of the middle squidgy bit (nucleus pulposus) starts to protrude through the weakened fibres, causing inflammation and pain to various degrees. In the Cervical Spine (neck) herniations occur most often between the fifth & sixth (C5/6) and the sixth and seventh (C6/7) cervical vertebral bodies. Symptoms can affect the back of the skull, the neck, shoulder girdle, scapula, shoulder, arm, and hand. The nerves of the cervical plexus and brachial plexus can be affected. In the Lumbar Spine (low back) herniations occur most often between the fourth and fifth (L4/5) lumbar vertebral bodies or between the fifth vertebral body and the sacrum (L5/S1). Symptoms can affect the lower back, buttocks, thigh, and may radiate into the foot and/or toes. The sciatic nerve is the most commonly affected nerve, causing symptoms of sciatica. The femoral nerve can also be affected, causing a numb, tingling feeling throughout one or both legs and even feet or even a burning feeling in the hips and legs. Some basic anatomy, the sciatic nerve is the longest and widest nerve in the human body, it begins in the lower back and runs through the buttock and down the leg. It can be compressed or irritated along any part of its course. Sciatica (or sciatic neuritis) is usually a term given to pain experienced down the back of the leg. This is very common during pregnancy. More accurately, it is a set of symptoms (rather than a diagnosis) including pain that may be caused by compression and/or irritation of the lumbar or sacral nerve roots (which give rise to the sciatic nerve) or compression and/or irritation of the sciatic nerve itself. Pain is typically felt in the lower back (Lumbar Spine), buttock and/or various parts of the leg and foot. In addition to pain, there may be numbness, muscular weakness, pins and needles or tingling. More common causes for sciatica are herniated disc, spondylolisthesis (slippage of one vertebra on another) or degenerated discs. Other causes of sciatic-type pain is due to damage to the facet joints in the lower back or tension in the piriformis muscle which compresses the sciatic nerve itself (called piriformis syndrome). Spondylosis is a degenerative disorder characterised by degeneration (wear and tear) of the spine. 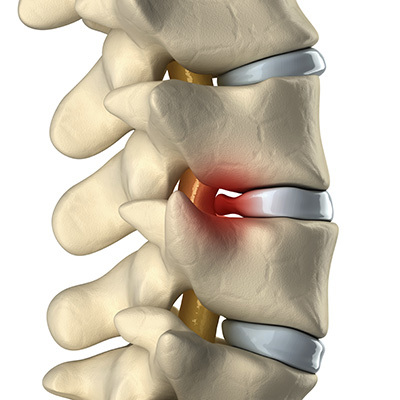 The discs, joints and ligaments of the spine are generally involved, the discs lose their cushioning effect between the vertebrae, ligaments become weaker and the bones (vertebrae) can develop bony growths or spurs (osteophytes). Age is the primary cause for this degeneration which can be very painful. Osteopathic techniques can help relieve the effects and associated symptoms of Spondylosis, such as joint or muscle stiffness. Osteopathy cannot reverse the degenerative process. Osteopathy is very successful in helping relieve these musculo-skeletal pains. Although SPD/PSD is the most common musculo-skeletal pain experienced during pregnancy, there is another culprit – the Sacro-Iliac joints – these are at the back of your pelvis and when these are ‘out of line’ or strained they also cause pain, which can actually feel like groin pain as apposed to low back/buttock pain as you would expect. There are different forms of scoliosis and many causes. If a scoliosis is genetic (you were born with it) and its due to your bones being misshaped (usually wedged shaped) osteopathy can not change the scoliosis, osteopathic articulation and soft tissue techniques may help the effects of the scoliosis, such as muscle tension or joint stiffness above and below the scoliotic area. However, if a scoliosis is due to your posture and muscle imbalance around the spine, then osteopathic techniques can help by ‘loosening’ tight muscles and joints and will address any postural issues that may be exacerbating the curve. Back pain is not generally caused by a serious condition and in most cases will resolve within a few weeks given the correct treatment.